16th No camera until the 22nd? In a counter to the widely expected announcement tomorrow, DPI suggest why it will be next week. 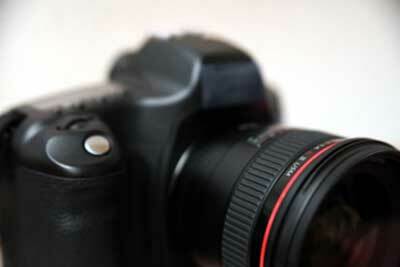 I’ve also heard of a Danish reseller (Kamerashop)removing the 5D from their web listings. 2008 September 14th We’ve had quite a few comments regarding the moon flash animation. It’s also been noticed that the 15th coincides with the Japanese Tsukimiholiday (‘moon viewing’) and a full moon. New AF design: improved version will be used in next 1D series. 2 (or more) speeds (fps) with different size handling. We are led to believe that whilst the AF is improved, it is not what will appear in the 1D series next year. An enquiry in Sweden (thanks) however, suggested that the next press event for Canon was on the 23rd at Photokina?? Could just be the 50/1.2 being used to emphasise the low light performance of the camera? I’m told that the lens is not big enough for this though I’m expecting people to pull out more detail over the next few days. The size of the hot shoe does allow quite accurate measurement of the dimensions of the camera since they all have to fit the same size flash units. There has been quite a bit of comment and discussion about all this, including the fact that the EOS letters seem to be part of the body rather than on a ‘name plate’. So it looks as if not only will you get video in the new camera, it will be 1080 as well. 7th I’m told (thanks) that DC magazine in the UK is suggesting that September the 17th is time for a Canon announcement. In expectation of announcements, we’ve moved all Sony A900 info to a page of its own – that’s all the rumours and info for some time back. When the 5D replacement is announced, we’ll move most of the current contents of this page to an archive and fill this one with ‘real’ info about the camera. After that – check the rumour index page for whats next, although i doubt many models will see the lengthy lifetime of the 5D (or 1 series) any more. I was also sent a slightly differently edited version of the ‘Moon’ picture below (thanks) It doesn’t show much more but suggests that both images below are from the same sequence of shots. Look at the uneven placing of the buttons for example. The contrast has been stretched a bit to make it clearer. Comparison with the images below shows where buttons and the like have been erased. On numerous Canon sites a ‘teaser’ ad campaign has started. It has been pointed out that this looks very similar to the current model in outline, and that mybe it will ‘evolve’ into the new version over the next few days ;-) However, look here for a shot showing that the buttons have moved from the 5D. A new EF Lens manufacturing plant has been announced too. September 4th Way to go Canon! – in a display of corporate podicide (shooting self in foot) Canon US lean on canonrumors.com to stop them using the domain name to …publicise ‘things Canon’. Whilst I’d have been more careful in using a big company’s logo on my site, I’ll keep my thoughts about the corporate mentality that comes up with this approach (and the lawyers enforcing it) to myself. ;-) Seems Nikon are quite happy to have Nikonrumours waving their flag? The 7D? 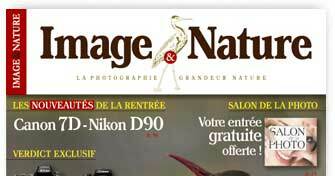 A French magazine suggests that it’s got a 7D article. This from what it says is in its next issue. Looking at the on/off/on Canon MF project, we wondered if it was back on again? -Canon reckon that by the time Phase One etc. do 120-130MP backs to take advantage of their greater sensor area (double FF or so), there will be so few needing the resolution that it doesn’t matter. The Digital MF market will then be a few thousand a year. The new a900 has arrived. A new height in the “a” revolution is now within reach. Engineered with the exclusive 24.6 Mega Pixel Full Frame Exmor CMOS sensor, an industry breakthrough from Sony, this powerhouse integrates only the best imaging technologies from the world’s leading image sensor manufacturer. A work of art for the truly discerning individual. 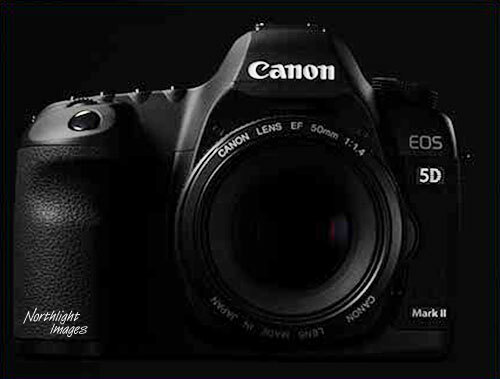 Info on the 60D page – if true, then bodes well for ‘5D2’ features. 2nd I’m told that that much of that Spanish article is ‘very similar’ to our info from last week, however they do claim to have independant confirmation for the 21MP, and I’m told the author is a respected source of info. Thanks to everyone who wrote in with info! 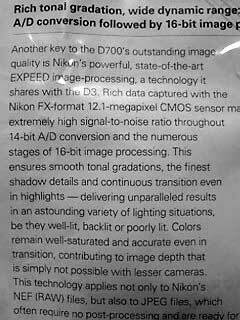 How about a 7D at 18MP – sounds ok, but for the dual Digic 3 in the ‘specs’ … should we not expect Digic IV in everything new? 31st The 5D replacement and new Sony FF are in the hands of reviewers, but no D3’x’ [DPR] also a Sept 17th meeting for Canon UK dealers. Also there is again the prospect of two FF Canon bodies a la 3D/6D and another mention of the ‘end’ of the ‘1D’ line. Looking back at various posts and predictions made earlier this month, several of the posters who suggested a 15MP 50D and 18-200 lens, also pointed to a 21MP 5D replacement. 29th Seemingly it’s a new HD AVI format that’s getting announced [DPR] at Photokina. Possibly one that’s supported by the next Canon DSLR or one of the slew of cameras that PopPhoto seemingly accidentally announced a few days ago. You may have noticed lots of similar sets of specs associated with the replacement for the 5D. We’ve been trying to track down some of the original sources (no easy task given the frequent internet habit of not attibuting something lest it takes a visitor to your page somewhere else ;-) A good forum thread to keep an eye on is the FM 5D replacement one. Fancy a look at the new Sony FF camera? 20+MP and video do sound interesting though. The consensus is definitely only -one- new DSLR from Canon at Photokina. We also hear of a joint press conference at Photokina from Adobe, Apple, Canon, Microsoft, Nokia and Sony (note no Nikon)– are we about to have a new standard for something photographic? DNG from more cameras? Another better version of JPEG? If you’re curious, you might like to look at our info on Canon future developments published before the 40D last August – it’s on the archive page We’re told that a potential 5D replacement was ready to go, but pulled for lack of real competition (5D was selling well) and desire to make it a bigger jump in performance. Video has also reappeared in some 5D2 specs [CR] although our other info doesn’t expect this to debut until early next year in the 500D. August 27th At several Canon press conferences around the world yesterday, the party line was obviously to hint at there being another SLR announcement this year. However, at the Norwegian event I’m told that someone (from Canon) clearly said there were two to come. And what will get announced for PK…? The 50D sensor and image processing are a major step forward in what has been a multi-year strategy for Canon to take sensor technology to the limits of physics, simultaneously achieving higher ISOs, lower noise and higher dynamic range. 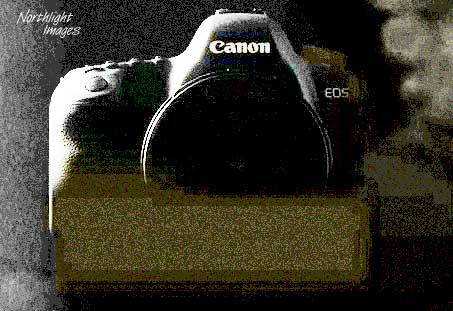 Note Chuck Westall’s announcement that the 50D sensor has 1 to 1 and a half stops better noise than the 40D sensor despite the smaller pixels. Several core strategies have been pursued simultaneously for this:Reducing the micro lens gap to capture all the light hitting the sensor. This has been highlighted in the 40D, 1D III and 1Ds III sensors and the new 50D sensor now achieves effective 100% coverage. Only very minor improvements are expected from this point on (e.g. shaping the lenses towards the corners of the frame to capture angled light.Reducing the noise level of each pixel. Canon have made changes over several generations of sensors to achieve this, bringing the amplifiers closer to each pixel, changing micro-circuit configuration and lowering voltages so the sensor runs colder. Again the design of the 50D is a big step forward here from the 40D and 1D III etc. 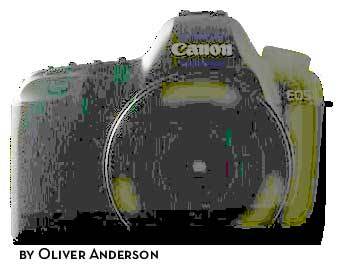 Canon have one more big jump lined up, with low voltage cold running CMOS designs to gain at least an additional stop in lower noise at higher ISOs or long exposures.Better digital noise reduction. These are the changes in DIGIC noise processing. First with the Chroma Noise reduction in DIGIC III and now with more advanced multi-level noise reduction options in DIGIC IV. Canon believe they have made most of the gains possible via processing algorithms but do still have some areas to develop. The next focus will be faster noise reduction processing so that it does not come at an impact on frame burst rates (look to the 1D3 replacement for example)Pixel binning for high ISOs. A new technology enabled by the complexity and processing power of DIGIC IV where they can bin 2, 4 or 8 pixels together at the raw level and average out the noise between them. This is seen by Canon as a key technology in balancing very high resolution sensors (in the 50mp range) with low noise at very high ISOs. Right now they are not pushing this too much with the 50D so as to not create confusion in the market (they see more potential for the technology as sensors get larger and in the pro-market). “Despite the fact that the pixels are smaller and one camera has a 10.1MP sensor and the other has a 15.1MP sensor, you’d think you’d have more noise but you have less,” he said. “The end result is better image quality all around which allows us to extend the ISO range to 12800. “Canon obviously takes all those surveys it commissions seriously. Despite what you may see on various gear related forums, the mythical ‘prosumer’ customer bases a lot of their decisions on ISO range, frames per second, image stabilisation and, you’ve guessed it, megapixels. The 10MP 40D was Canons attempt at addressing the Frame Rate (hence the optimistic 6.5fps that turned out to be really 6.3fps) and Image Stabilisation by adding IS to the low cost kit lens. However the 12mp D300 and Sony and 14mp Pentax left a challenge, as well as the 6400 ISO of the D300. Thus the big increase in MP and ISO for the 50D to cover all the major bases. The 50D (and future Canon marketing materials) will push more directly the benefits of the IS kit lens to counter the active IS campaigns of Sony and Pentax. Canon feels that this leaves Sony and Pentax still basically bettered at the retail counter. Face Detection can recognize profiles. ISO dial now wraps around mode dial. Update – the info has gone, was this a date slip? “Canon’s newest flagship compact packs 14.7 megapixels, a 28-140mm 5x zoom, a 3 inch 460K pixel LCD and DPP-supported RAW into a familiar, but not identical body as its predecessor. It seems PopPhoto also announced the 990 IS and 880 IS, the former being a 14.7MP, the latter a 10MP camera, as well as the SX1S, a 20x P&S with articulated screen and hotshoe. The six new digicams may have their differences, but be it an Elph or a 20X EVF, they’ve all optical image stabilization and Digic 4 processors on the inside. To save readers trawling too many forums for further info we’ve the following quick guide to how the 50D news was probably received. More details and pics of the 15.1MP 50D on our 50D page. ISO noise reduction in high-speed settings, a shot to improve performance. 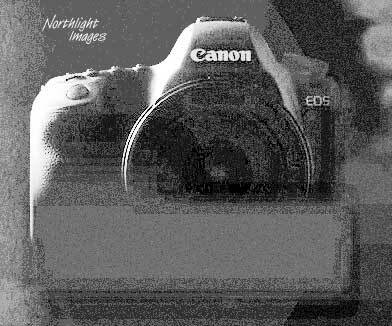 23rd All the current Canon news we’re getting is 50D related, however a new Nikon MF round of rumours is underway, with an interesting DPR posting by Thom Hogan – More on the Canon MF page. After some comments from PC using visitors we’ve changed type sizes and link format on the site – hopefully this makes the pages a bit easier to read for some people? 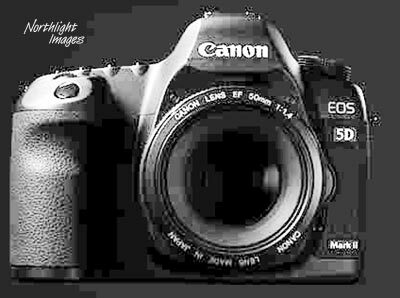 – 1Ds Mk3 upgrade (sooner than the 2010 ‘3 year’ cycle) ~38MP with 50D pixels – meantime, expect significant 1Ds Mk3 price cuts. The new sensor design for the 50D has elements of the ’50MP Demo’ chip that everyone keeps mentioning, as will the 5D replacement. These two sensors are regarded as more of a step in performance than many previous changes. In particular, with the new 50D sensor, many of Canons primes (and some L zooms) will show the benefit of the high pixel density (38MP FF equiv). Equally well, a FF sensor at this density will show up a lot of their lenses, so they have put a lot of resources into making sure that when the next ‘flagship’ camera debuts at ~35MP it will have more improved glass. The Nikon 12-24 was a bit more of a wake-up call and with the 24-70 was enough of a reason to switch for some of Canon’s pro customers. New aspheric designs and exotic glasses take a lot of computer power and very specialised software. For press use, expect HD video, since Digic IV has the processing power to handle this and the bigger sensor pixel counts. Expect it to debut in some form in the next consumer DSLR (500D). Part of the big AF redesign is addressing the problem of how to provide responsive tracking AF at a performance level suitable for sports use. Sony are making no secret of their desire to go to 45-50MP within a few years. Sony’s ability to compete price wise anywhere they choose worries Canon more than a revitalised Nikon. Despite their Zeiss lens pedigree, the threat is seen more in the prosumer range where the Sony brand is known. 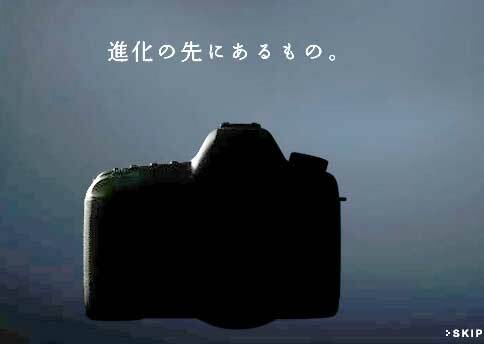 Despite their feeling that lens based IS is superior, Canon know that the in body IS of Sony is being used as an effective marketing tool. Nikon have been agressively marketing towards pro photographers of late and their perceived weakness in prime lenses will not last. In the US, I hear of a BestBuy store sending their demo 5D back. In Norway most in shops seem to have been sold. With one store saying their back order “Canon Digital EOS 5D m/24-105mm F4 L IS” for late September had an ‘unconfirmed’ status. The one month 40D rebate scheme is announced (£60) Details from Canon. 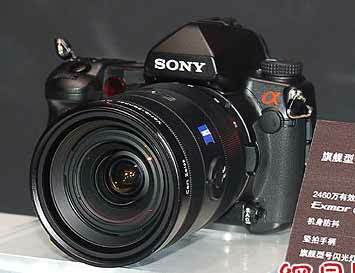 “Sony a900 body. There the posted price is 2490 Eur which is a very little cheaper than the Nikon D700 (2499 Eur) and much cheaper than the Canon 7d (2990 Eur). Note that the September 30th date probably comes from a French site that advertises the A900 – whilst I’ve not followed all the links through non English sites, I suspect this is a classic circular rumour. Yet another reason i always try and give sources (unless it’s info sent directly to us ;-) – thanks to those who spotted this one and pointed it out. Also linked from DPR with a September 10th announcement date. 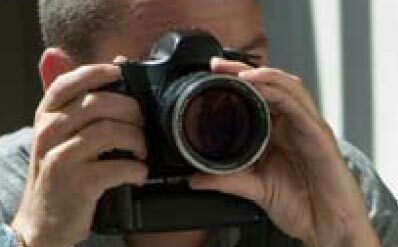 The Dutch Canon site has announced a new series of workshops for buyers of the 450D, 40D and 5D. Runs until Jan 1st 2009. Note this is via a third party supplier and probably has no real indication of model changes. Also in an update to the forthcoming UK 40D rebate, we hear that at the end of the months scheme, it may turn into a price cut or be continued. 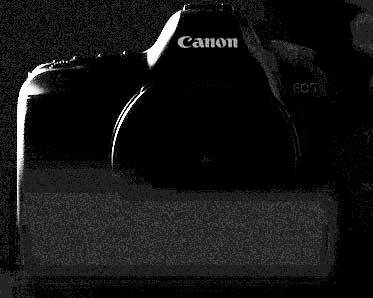 Canon has no plans to join the Micro 4/3 industry at the moment. 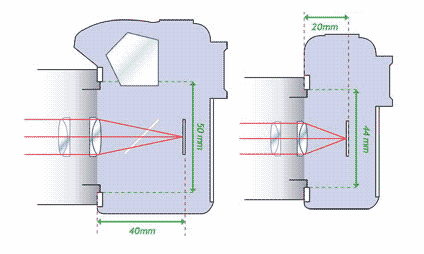 Canon has different sized sensors already, and users have different systems. Most of them don’t want to invest for another new system. Canon thinks different sensors have their own characteristics, whether or not APS-C will be replaced completely depends on market demand, but Canon takes the upcoming decrease of Full Frame camera cost due to sensor cost dropping as a good sign, which makes FF more affordable. 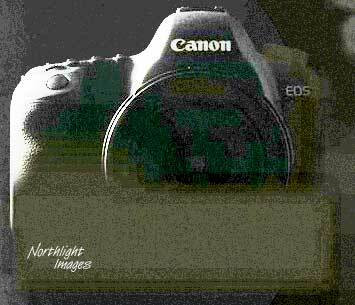 On the 1D merging issue, with today’s CMOS technology, it is not easy to get “Good quality, high speed” at the same time. Yet Canon tech has been developing rapidly, once the cost is reasonable, we can solve this problem. No words on 5D sucessor, saying that no such information available. But they have received feedbacks from Chinese dealers saying that people are waiting for a new 5D and 12MP will be enough already. About Canon’s lack of passion about things like HDMI…. These technologies are not Canon’s core ones but developed by others instead, we will buy them and put them in our camera if we found it necessary. We often need to make decisions between different features, for example, there is a company which uses vari-angle LCD on its monitor, this sacrifies the size of the monitor, some may thing it is good, vice versa, and Canon has to pick the choice which most will appreciate, but not everyone will be satisfied. [this echoes what Chuck Westfall said during CES, with OLED, the display of SLRs will be a part of Canon’s core technology, then we will see better monitors on them] Eye-controlled focus, we are not using it because of feedback from the market, but we haven’t stop developing it,. As ever, don’t expect anything too definite ever to come out of an interview with senior Canon Execs ;-) I’m sure that others can find more nuances in the translation, but remember there are many things that don’t easiliy translate. 18th More 50D info, but not 5D2 yet. From the same thread… Digic IV will be used in upcoming IXUS but not on 50D. From the Xitek forum I’m also sent reports that the new 5D will come in at $2500 and that there will be an FF ‘Digital Elan’ next Spring (think 7D). New lenses would include an IS 100mm macro and a 35-70 F2. I’m also told that at Bestbuy in the States, the 40D/28-135 kit is backordered at stores and ‘soldout online’, the 5D is marked backordered for all combinations. 17th if you’re looking for another camera to put in your pocket, I hear that B&H in the US are showing the G9 as ‘discontinued’. Time for a G10. Tha Sony A900 (name still not certain) is expected to be shown to the world on September 9th/10th [PA]but maybe delayed until PK. 13th Thanks to all who queried the specs below – yes that is an ‘optimistic’ throughput for a single DigicIII processor. I’d previously not expected to see DigicIV until next year, possibly in the FF 1D4. And how about 21MP for the 5D followup?… In a thread [FM] suggesting that an 18-200 EF-s lens (f3.5 to 5.6 IS USM) is to be announced for Photokina. Canon have just announced a couple of printers and maybe we’ll see a load of small cameras at IFA in Berlin (Aug 28 – Sep 3) I’ve also seen suggestions that we should expect a D3X (and maybe D300s and probably a D90) on the 27th. “Therefore, Canon invited to a narrow circle of “roundtable” 26. august. As Canon writes in the invitation, so will the rest of the press be invited to the press in september. This suggests anything on that, though news 26. august, but all the indications are that it will be so secret that we can not write about it. 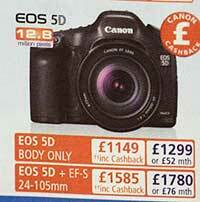 While the 5D price in the UK has fallen a bit, I’m told that at B&H it has jumped upwards. Are we seeing a rise in demand coupled with a shortage of supply in the US? From someone posting in POTN about a presentation today. 5th The 26th of August is the date the Swedish Mag K&B has been invited to a Canon press event. **Just a reminder – this is a rumours page, so keep that pinch of salt at hand! Where is the next big camera battleground? Well, it seems that Olympus and Panasonic have decided to give the slightly moribund four thirds format a shot in the arm. A new mirrorless ‘Micro Four Thirds’ specification is going to allow for a range of cameras with smaller interchangeable lenses (and exising ones with an adapter tube). There is more info and comment at DPR and DCR How about a Canon version using a cut down EF lens mount and the APS-C sensor. Use all your EF and EF-S lenses with an adapter tube? 2nd In what may not be entirely welcome news for some at Canon, Rob Galbraith has at last published a mammoth study of AF issues with the 1D3 and 1Ds3. It was pointed out to me that in the Swedish blog mentioned yesterday, one of the more interesting observations was that for higher end ‘amateur’ camera buyers, there seems to be less price sensitivity than perhaps Canon had considered, and that ‘more features’ would win out over slightly higher prices. A translation at POTN doesn’t actually have much of substance, although it suggests that 40D sales have been disappointing for canon and that a 50D may be here in the Autumn rather than early next year. July 31st In a collection of info via a reader watching some of the Chinese forums (thanks) It seems that a lot of senior Canon people are going to China for the Olympics -and- to announce the next Canon cameras before the olympics (either tomorrow or Monday were suggested dates). The other info suggested two cameras – one single digit, and one double digit… FF 50D anyone? No more 5Ds shipping from Canon, along with a similar drying up of the G9 and S5IS according to an FMpost. That and a ‘Canon sales meeting’ in a week or so suggest an earlier announcement than having to wait for Photokina. I’m told (thanks) ‘B&H and BestBuy.com showed 5D on back order last week and both are showing body only and 24-105 kit in stock as of yesterday’. Meanwhile, after chatting with a UK dealer, it seems that the 5D is still selling very well at its current price. 30th No solid ‘5D2’ rumours to speak of, although the main muttering I’m seeing has moved on to the 40D price drops (not in the UK) and renewed speculation about two new FF cameras. 26th Somehow I just knew people would try… Thanks for all the mail and explanations for the ‘nonexistent’ URL behaviour. Most likely something like Apache’s mod_speling ? 25th A few years ago I managed to get pictures of an entire range of products before their announcement, by playing around with URLs and making up plausible new ones to see what was there. Most companies are a lot more careful now, but with lots of subsidiaries it can be difficult to keep track of the web empire for a big multinational. 21st In the US, I’m told (thanks) of a Best Buy that was selling 5D display models at minor discount, and no longer has any stock. They were also telling customers that the camera is discontinued and will be replaced. Much more predictable, but what are the ‘new’ features that Canon might want to trumpet? 7th More hints at 3 cameras in a DPR post. Two 5D successors and a new ‘1’ series – this being extremely low noise (look for very high ISO) but ‘only’ 10MP – more pointers to new CMOS too. I believe that thread comes from AVF ? 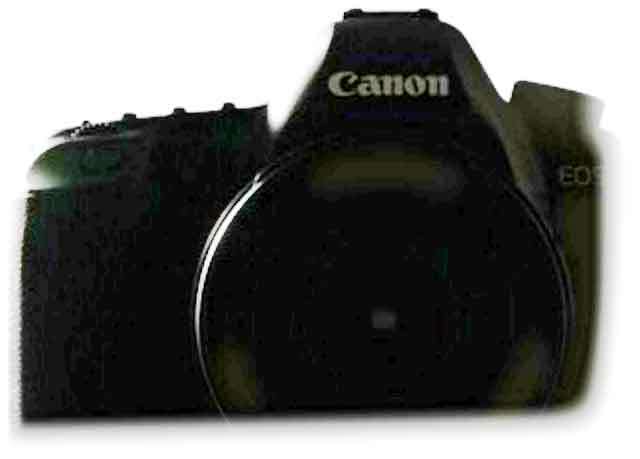 We also had a dealer comment that they had been told to expect an announcement from Canon during the Olympics – unfortunately that’s all they said, has anyone else heard of this? 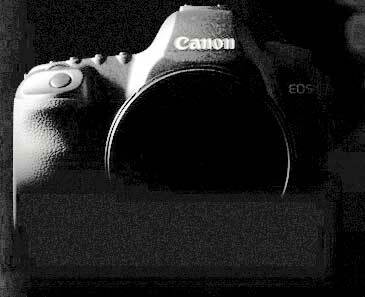 2nd As the 700D clamour dies down a bit there are renewed thoughts about what Canon will come up with next. 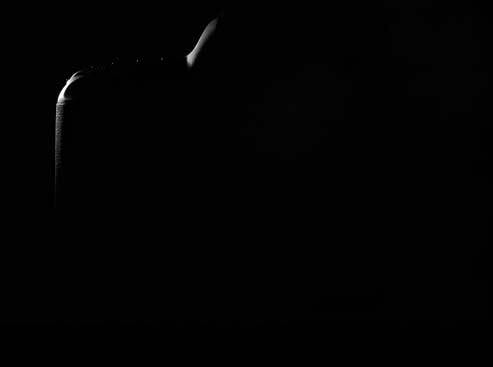 Will it be a ‘updated’ 5D or will Canon make a serious effort at breaking a few moulds? We’re also told that B&H is back in stock with the 5D/24-105 combination. 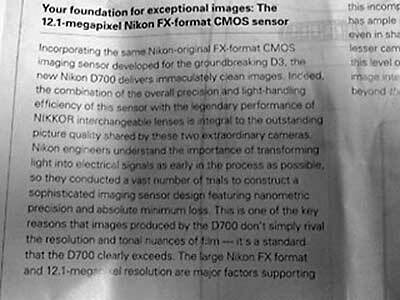 There’s more D700 stuff about too, although D3X talk seems to have subsided. We did hear of a potential move to a 12 month release cycle last year, but this was only for ‘entry level’ DSLRs (so expect a 1000D update next year) The 40D will have been out for a year at Photokina, and most people would be expecting an update for PMA next year. 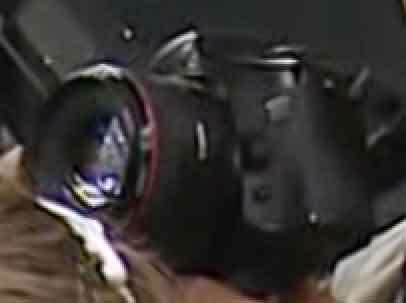 Is the 40D about to be ‘supplemented’ with a low end FF camera that will take EF-s lenses? 26th In a report from Finland (thanks) we hear that a major retailer can no longer get stocks of the 5D + 24-105L kit (bodies and 24-70 kit still available) [Info – Finnish] – seems B&H are also out of this combination too. Non-rumour note ;-) On a photography business related issue that might be of interest to other professional photographers… I use the Ecademy business/social networking site, and have just set up a Photography Business club – aimed at promoting the work of pro photographers to the many thousands of business members of the Ecademy worldwide. If photography is part of your business it might be of use – Ecademy can be useful, even at the free level of membership. If you try it out, then please do send me a link via my profile page. Reporter: We knew that Sony annouced her high end CMOS product long time ago with the specification. This is a good strategy since it creates anticipation among users and media. Would Canon annouce her next high-end CMOS product after 2000 I guess he meant pixels, in Chinese we describe 20mp as 2000kp) in appropiate time? 50MP in x1.3 is ~80MP in 35mm FF format (or ~30MP for 1.6 crop), so it’s an 81.2 MP 1Ds mk5 (what was I saying about lenses?) For all the naysayers that immediately pounce on high MPs as being ‘too much’ resolution I’d seriously suggest watching (and understanding ;-) the excellent videos at Panavision about MTF and camera systems – if the site is busy you’ll just get a big Q – call back later, it is seriously worth it. Don’t be put off by the fact that it oriented towards video either. June 23rd A 50MP CMOS sensor from Canon gets a mention in a Chinese report from the P&E show. Machine translations don’t say much ;-) – but I believe it’s from a senior Canon Exec. This follows on from our information of last September which discussed aspects of potential 40-50MP sensors and their eventual introduction in the 1 series. It includes loads of good photos from the current P&E show in China. “On the eve of the opening of the Exhibition, tech163 surveyed the exhibition hall and found Sony’s top-of-the line FF A900 (tentative name). This flagship model felt solid (firece) when fitted with the CZ24-70. 19th There are supposedly five items from Nikon due to appear on July the first [DPR] with two bodies and at least a couple of lenses. The question is, will it be a D3X or D700 type of FF camera to go with a D80 replacement? There is a lengthy thread discussing this and many more pictures on FM. Frame Rate: 5 FPS; up to 6.5 FPS in cropped DX mode. The UK price for the 450D is around £400, the 40D is now about £600 mark with the 5D at £1200, 1D3 at £2400 and 1Ds3 at £4600. Two cameras at £1800 and £1000 were what they’d like. The CR story is updated to have the ‘3D’ powered by Digic IV. If you’re interested in some of the background for this, see the large amount of info we were sent last September. 14th Is the on again/off again split back on for the 5D successor? At CR there is a report of a ‘3D‘ and ‘6D‘, although if previous numbering conventions are anything to go by I’d suspect the model number guestimates are the wrong way around. June 13th A 3D sighting? We were sent comments by someone who is sure they’ve seen on being tested in Germany [3D page]. Meanwhile the word is that Nikon have a press conference set for the end of this month in the UK. It looks like one of the fakes doing the rounds last year. Fujifilm out of DSLRs but a new push in compacts. Pentax mostly out of compacts, emphasizing DSLRs. Sony with so many low-end DSLR models, only one high. 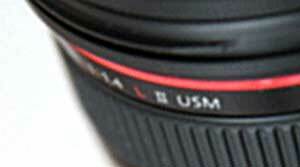 Canon rumored going lower in DSLR models. Sigma producing multiple APS compacts, no new DSLR. Nikon with potentially 4 DSLRs that would be labeled “pro” (D300, small FX, D3, D3x). We were just sent a comment (thanks) originating at a major UK dealer, saying that Canon had a press conference in two weeks time (20th?) and that we would hear of a ‘significant new product’. 5th Another low price we were sent was $1900 from Adorama in the US… or even $1840 as was suggested in a recent mail (thanks). Do remember though that there are a lot of scam sites out there, so do your research before buying at the cheaper end of the market.